“To do” lists can be overwhelming and not much fun. Neither is having to replace a beautiful area rug prematurely because it didn’t receive the proper care! I’m Ruthie here at Arizona Oriental & Specialty Rug Care reminding you to LOVE YOUR RUG now and get it cleaned BEFORE permanent damage from neglect happens! Time is sometimes the enemy, and things we mean to do just go on the back burner of life. Could your rug be one of these things? Each year in February I set out a sandwich board sign on the corner of EZ Street and 6th Street in Prescott as a gentle reminder that your rugs need love too. DON’T WAIT TILL THEY ARE HIGHLY SOILED AND BEYOND HOPE! Did you know that proper area rug care includes cleaning every 1 to 3 years, depending on your lifestyle and use? 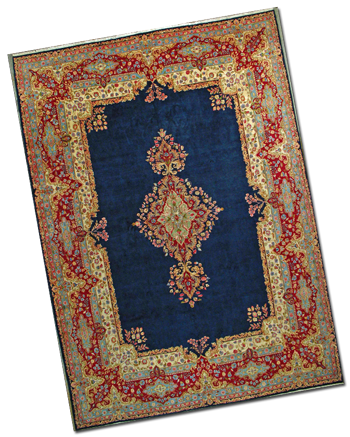 Cleaning not only keeps your rugs looking vibrant and beautiful, but dramatically extends their life too! So what are you waiting for? There couldn’t be a better day to get your area rug cleaned than today! AND, that will give you one more item to scratch off your To Do List! Woo-Hoo! 2. Food and beverage spills also damage fibers and will be harder, if not impossible, to remove the longer they are left on the rug fibers. 3. Animal urine causes dry rot and eventually will deteriorate the rug fibers causing the rug fibers to fall apart, split and ruining your rug! Till next time, LOVE YOUR RUG! Enjoy your beautiful art for your floors and remember a clean rug is a rug that can last you a lifetime! 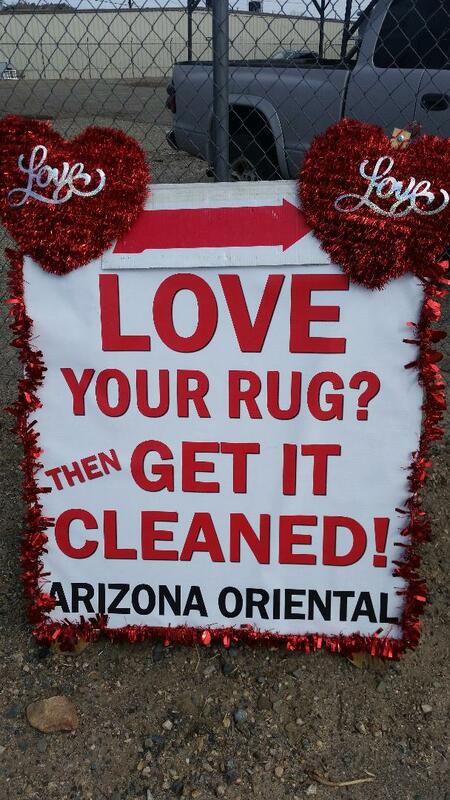 Call us for more information on LOVE YOUR RUG at 928-445-1718, visit our website at www.ArizonaOriental.com, or stop by Monday through Friday 10:00 am to 4:00 pm at our rug washing facility at 565 EZ Street, Prescott, AZ 86301 (pick-up and delivery also available).